Hello, lovelies~ Have you ever had one of those days where you wake up with greasy-looking hair and had no time to wash it? I used to pour a little amount of baby powder on my scalp straight from the bottle. This usually ends up very messy on my floor. 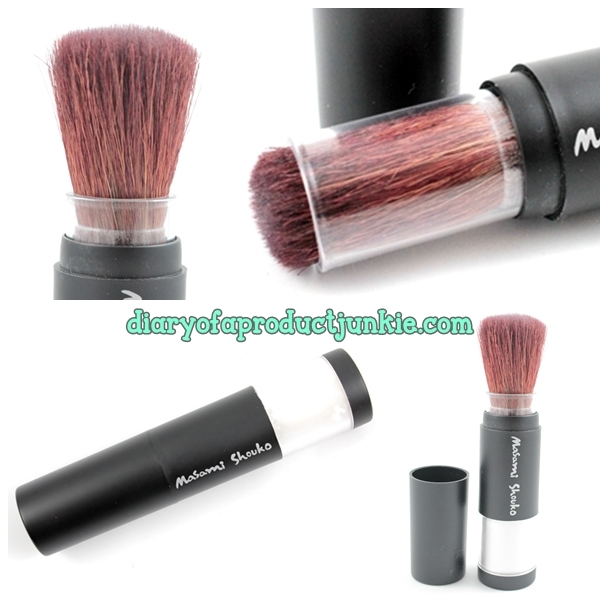 I found this brush from Masami Shouko last week and thought it would make a great dispenser for dry shampoo. The end of the brush can be refilled with powder and I decided to fill it up with baby powder. Please keep in mind that this won't help if your hair is already very oily to begin with. If this is the case, a session of washing your hair would have to be done.